Use this article to understand the currently supported features and current limitations of Sonos Player integration. Controlling a Sonos Player from an Insteon device requires creating a scene. Learn more about creating a scene by viewing this article. App support is only available on iOS. A maximum of four Sonos Players can be added to the Insteon app. Only one Sonos Player can be a member of a scene. At this time, you are unable to edit Sonos Player functions from within a scene. 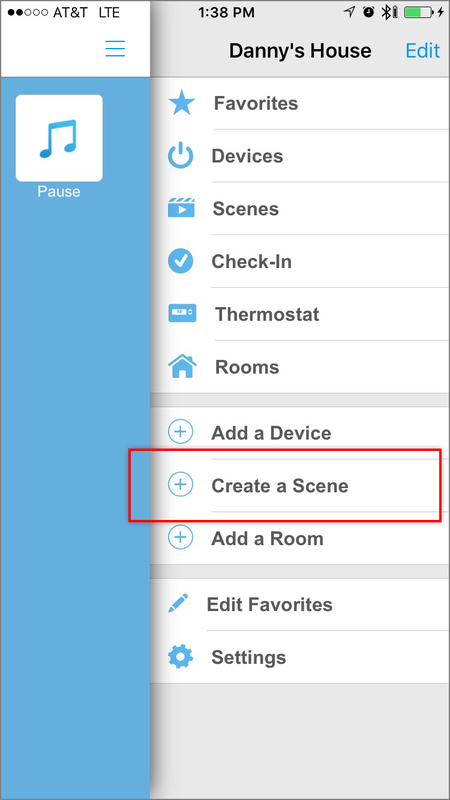 If you wish to change a Sonos function after a scene has been created, delete the scene and re-create the scene with your desired changes. To facilitate preset playback from an Insteon device, the Insteon app lets you learn source presets. Configuring these playlists is done from within the Insteon app when editing a Sonos Player settings. If your Sonos Players or your router are disconnected from power, it may take up to two minutes before your Sonos Players are rediscovered by the Insteon Hub. When learning a preset with your Sonos Player, you may encounter an alert informing you that no music was heard while listening to your Sonos Player. For the Insteon app to remember your musical selection in a preset, music must be actively playing from your Sonos Player. Select the desired music from any of the sources available. When music begins playing, tap the Home button and return to the Insteon app. 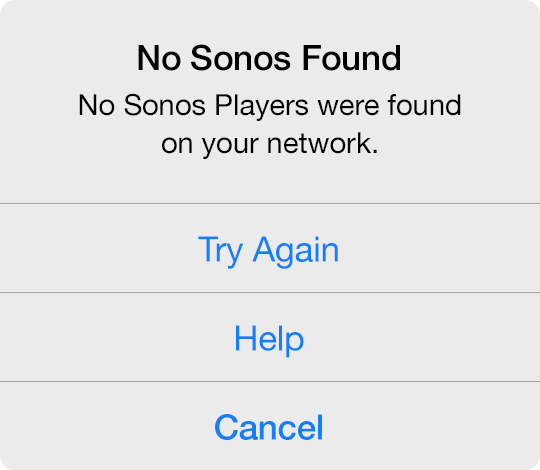 When adding a Sonos Player, you may encounter an alert informing you that the app was unable to find any Sonos Players on your network. There are several reasons why this may occur. Your mobile device may be connected to a different Wi-Fi network than your Sonos Player or your mobile device may be connected to cellular only. Ensure that your Sonos Player is connected to a working power outlet. If your Sonos Player is connected via ethernet, check that the ethernet cable is firmly seated. It may be helpful to unplug and reinsert the ethernet cable. Check to see if you can control your Sonos Player from the Sonos App on your mobile device. 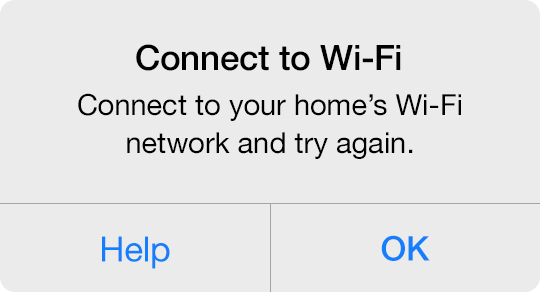 When adding a Sonos Player, you may encounter an alert informing you to connect to your home's Wi-Fi network. Connect your mobile device to your home's Wi-Fi network. You are unable to add a Sonos Player to the Insteon app when on a cellular 3G, 4G or LTE connection. Ensure Wi-Fi is on and tap your home's Wi-Fi network. If you have more than one Wi-Fi router, it is important to join the same Wi-Fi network as that used by your Sonos Player. Tap the Home button on your iPhone, iPad or iPod touch and return to the Insteon app to complete your Sonos setup. Tap the home button on your Android device and navigate to Settings. Ensure that Wi-Fi is on and tap your home's Wi-Fi network. If you have more than one Wi-Fi router, it is important to join the same Wi-Fi network as that used by your Sonos Player. Tap the Home button on your Android device and return to the Insteon app to complete your Sonos setup. When adding a Sonos Player, you may encounter a message informing you that you have already configured the maximum number of Sonos Players. Insteon Hub supports a maximum of four Sonos speakers. To control Sonos functions or trigger presets from an Insteon device, create a scene for each desired function. From the Scene Members list of devices, tap the Insteon device or devices that you wish to use to control your Sonos Player. With Keypads and Mini Remotes, select the corresponding button from the list of device buttons. For each Insteon device, tap the blue Responder button until it reads "Both" and then tap Done. 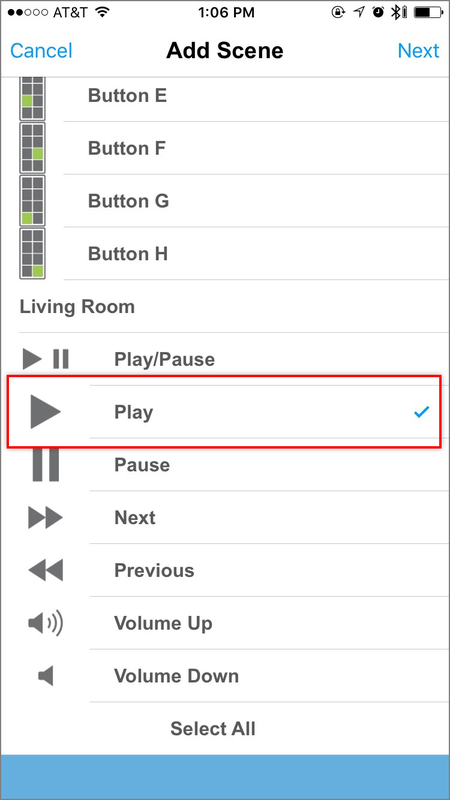 Repeat the above steps for each additional Sonos Player function you wish to control.